If there’s something that a lot of people are always conscious about, when it comes to their face, it has to be the nose. That’s not really a surprising thing since the nose is one of the first things that people see because it’s hard not to notice it when it does stick out of your face. Unfortunately, for some people, noses tend to stick out a little too much. In other cases, it doesn’t stick out at all. Still, for others it just looks weird and all that. Thankfully Rhinoplasty or more popularly known as Nose Job. Getting a Nose Job is not a new thing and anyone can have their nose done for a variety of reasons. While some may question the value of undergoing such a procedure, there certainly are benefits that abound. 1. Aesthetics – The face is often seen as something balanced and there’s a certain line that runs in the middle. The nose can often disrupt that balance. Surgery may help bring that sense of balance back to the face, to give it a much better look from all angles. Symmetry is not the only benefit. Proportionality is too. Some people just have a nose that’s too big for their faces. Even if it is balanced, it just doesn’t look that great from a size point of view. The size can be sculpted so that it becomes not just symmetrical, but also proportional to the rest of the face. This is possible after a Rhinoplasty. 2. Self-confidence – People go under the knife to feel better. The nose is a good a place to start, since it is something that people do tend to get conscious about. 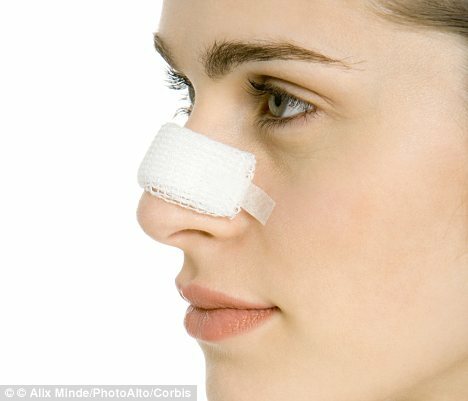 Once the nose has been fixed, the result may be a dramatic change in a person’s being. Of course there are those who will disagree with this but when done right it can be a big boost to a person’s self-confidence and feelings of self-worth. 3. Health – Some people have certain medical conditions affecting the nose that keeps them from breathing easily. This can be dangerous if left undone. After a Nose Job that issue with the deviated septum can be fixed. This will allow a better flow of air that can make breathing a whole lot easier. At the same time, it can help cure sleep apnea since there will be less or no blockage of the air passageways. A good surgeon can help clear up or fix the air passages that will alleviate the problem to give you a good night’s sleep.